This is the second time I’ve visited the Hyatt Regency for high tea. The first time was in 2012, so I knew what to expect this time around. My partner is back from London, so I figured a high tea disguised as a buffet would be a good way of convincing him to go. 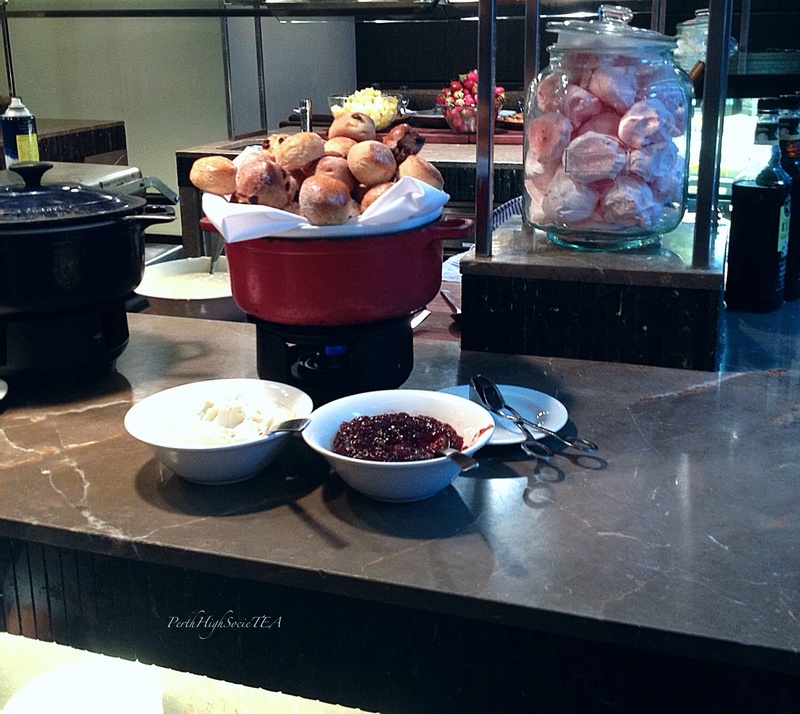 The Hyatt Regency is particularly male friendly when it comes to afternoon tea. 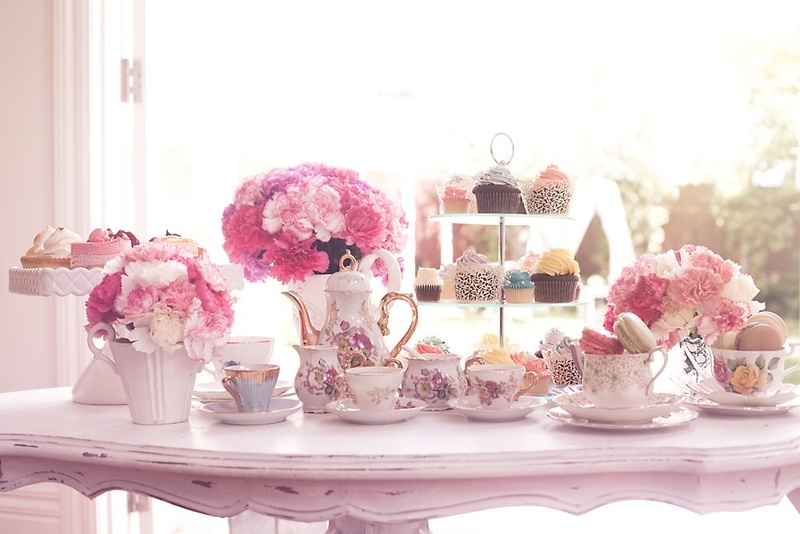 There is no floral tea ware, and no three tier stands, just an all you can eat buffet filled with sweet and savoury treats. Although the hotel itself is quite old and relatively underwhelming from the outside, the lobby and restaurant area is modern and stylish. 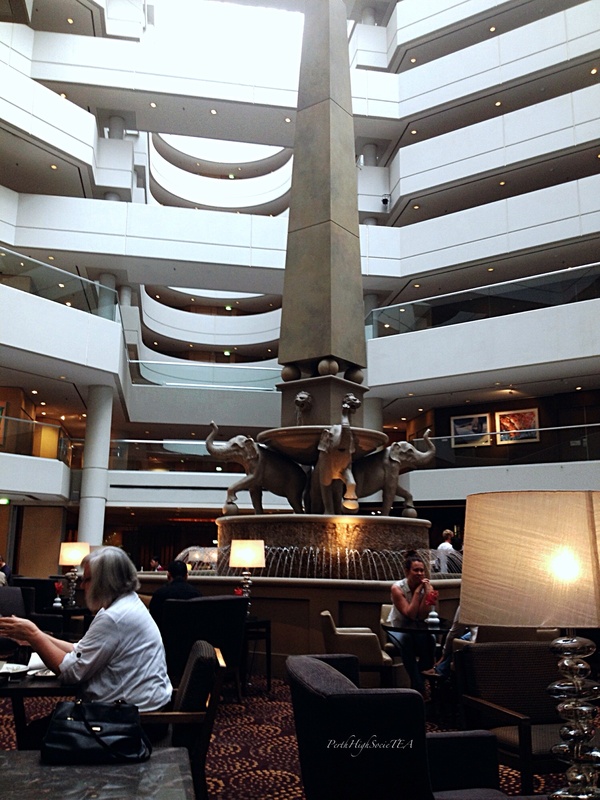 The beautiful elephant water feature in the main entrance is definitely a highlight. Our table was simple and sophisticated. 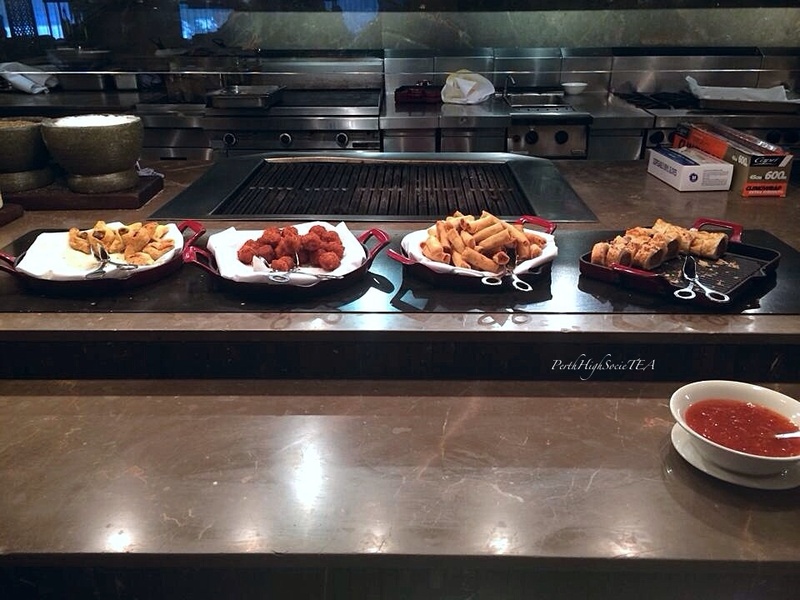 It suited the smart decor of the restaurant. Clean napkins, white crockery and polished silver cutlery. As previously stated, afternoon tea at the Hyatt Regency is male friendly, and therefore any embarrassment that may be experienced is significantly reduced by the lack of feminine tea ware. The service we received at the Hyatt Regency was excellent. There were plenty of polite and obliging staff available if we needed something. Every 10 minute or so, a hostess would come over and top up our sparking wine. It was wonderful! My partner and I indulged in some much needed sparkling wine. We received a mixture of sandwiches, both with meat and vegetarian. We were also told that at anytime we could request more. If you read my last review you would understand just how much I appreciated this. Sandwich fillings included: chicken, salmon, red pepper, egg mayonnaise and avocado with beetroot. 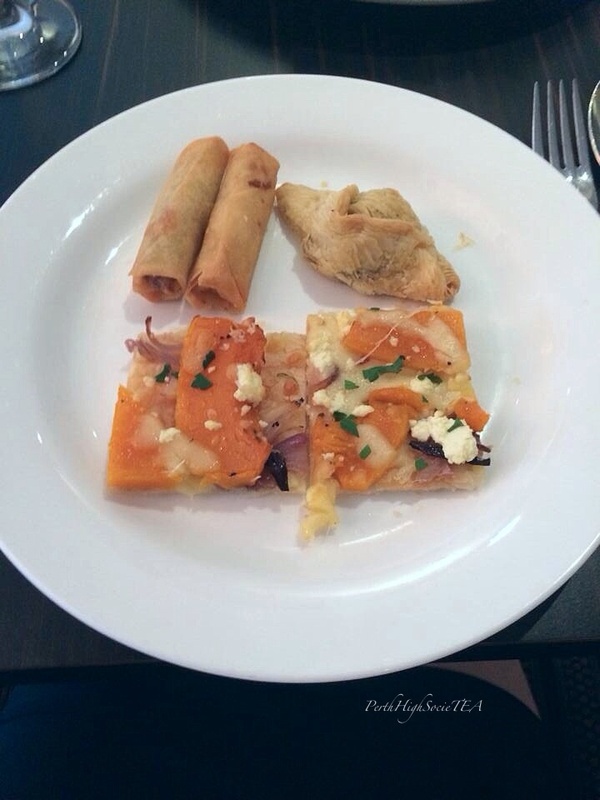 The savoury buffet was a highlight, and I was delighted to see at least three vegetarian options. Savoury options included: a delicious pumpkin and feta tart, tasty vegetable spring rolls, mushroom parcels, sausage rolls and meatballs. The sausage rolls and meatballs went down a treat with my partner. The sweets buffet was magnificent. 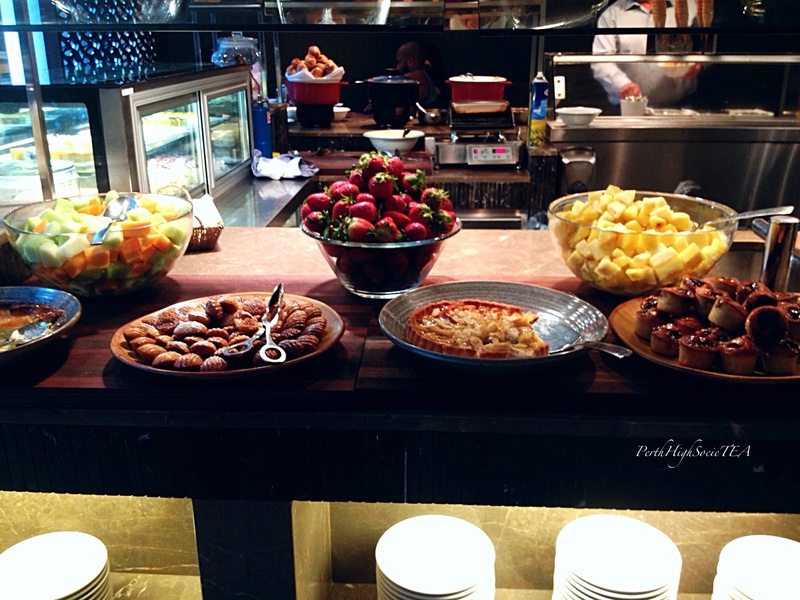 There were so many different varieties of petite cakes and slices, scones, fresh fruit, and even waffles! 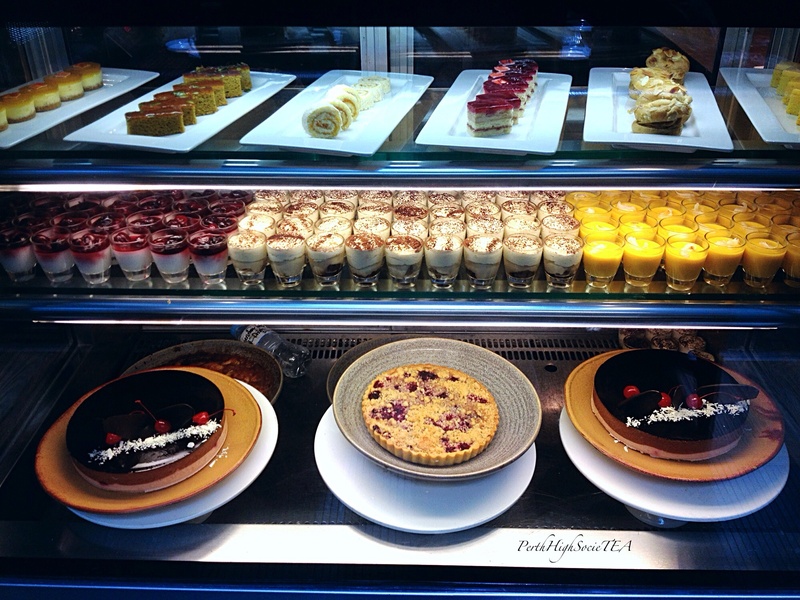 For sweets, I selected a beautiful hazelnut and chocolate mousse cake, a raspberry sponge cake, a chocolate walnut slice, and a yummy lemon cheesecake. Unfortunately the scones weren’t anything to rave about. They were hard and dry. However, we did receive a generous assortment of honey and various jam pots on our table which was a nice gesture. 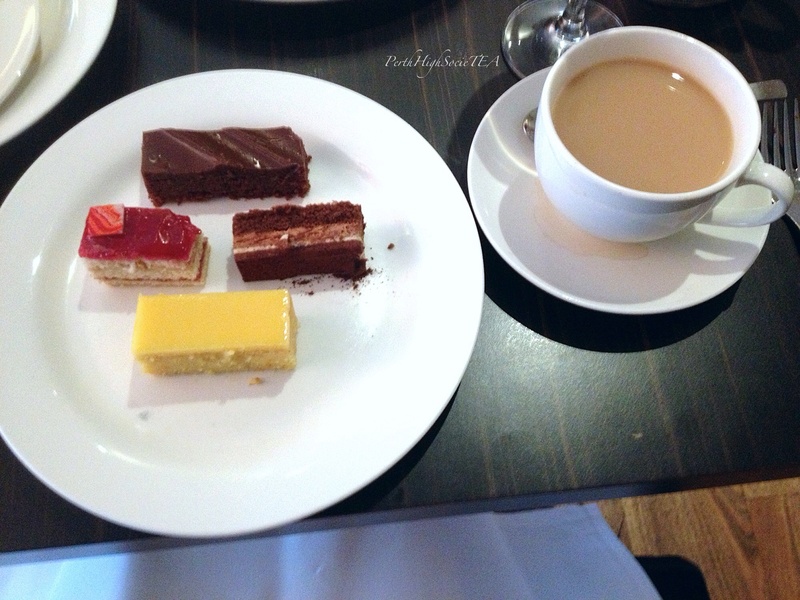 Overall, I enjoyed my afternoon tea experience at the Hyatt Regency. It was relaxed and quiet and there weren’t many in attendance. 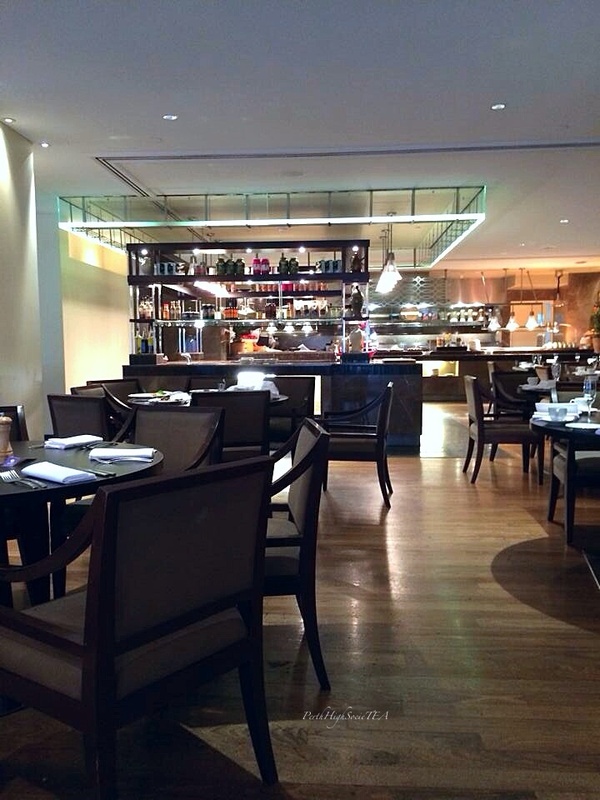 The restaurant is stylish, and the lighting was dimmed for a romantic feel. 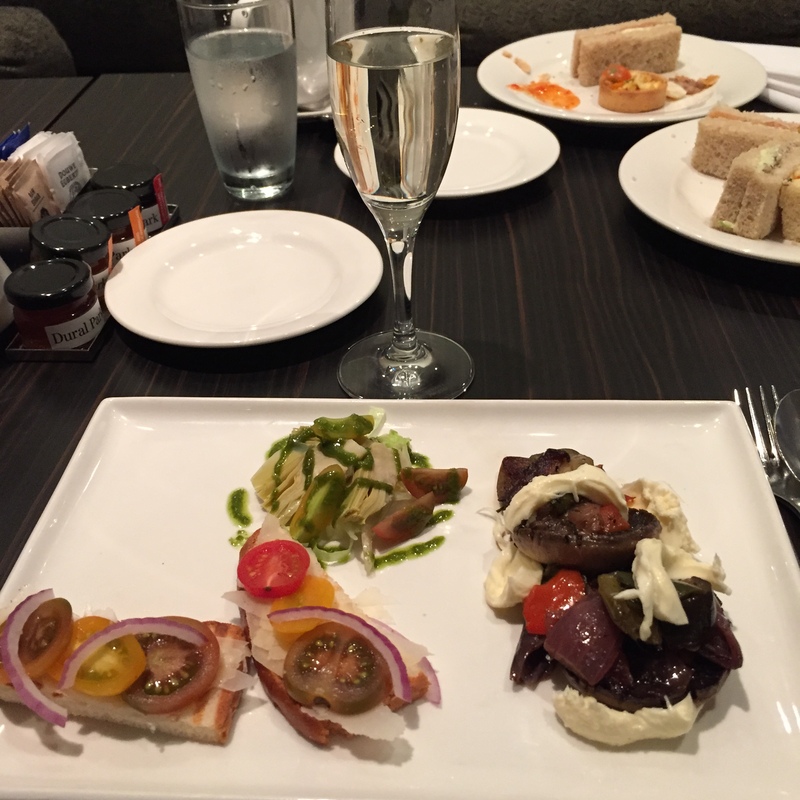 The service was fantastic, and who could complain about an endless supply of high quality food?The Hyatt Regency is one of the more pricier places to have high tea. However being a buffet, you definitely get your money’s worth. 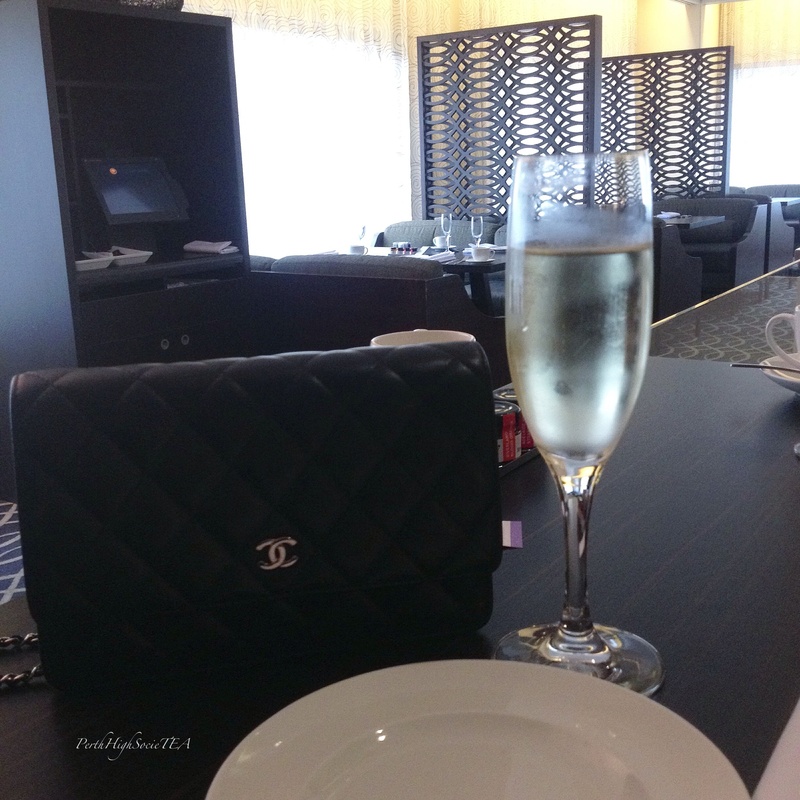 Visited the Hyatt again on the 25th of July with my fiancé. We intended to go for lunch, but it turned into afternoon tea instead (what a coincidence!) ;). 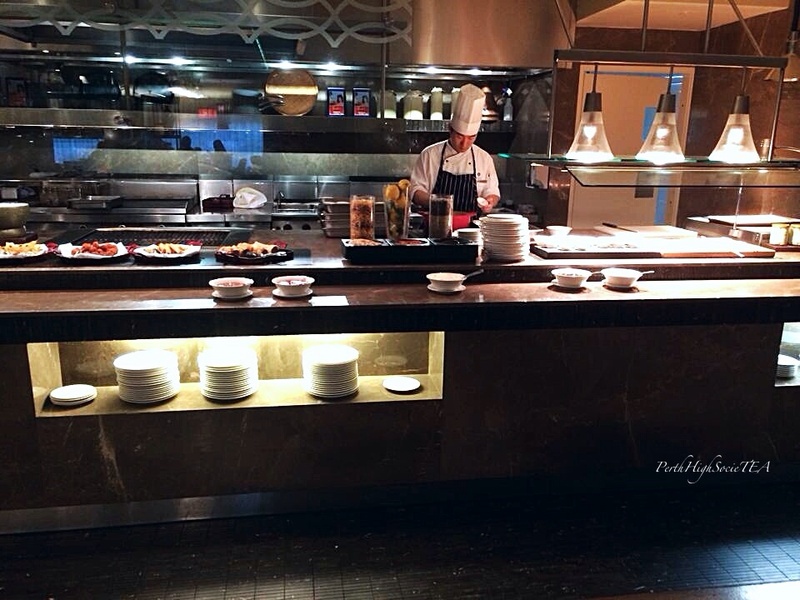 Nothing has really changed since last time, and the food and service is still exceptional. This time however, I was offered more vegetarian options (see photos below). 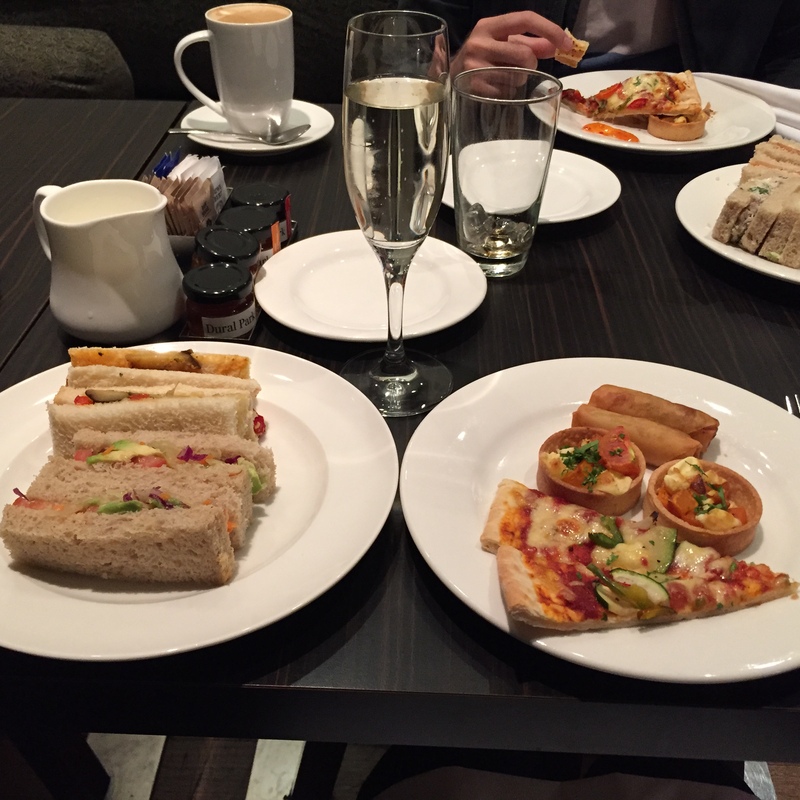 The Hyatt offers the perfect “male friendly” afternoon tea. There is plenty to eat, and it’s value for money. Address: 99 Adelaide Terrace, Perth. 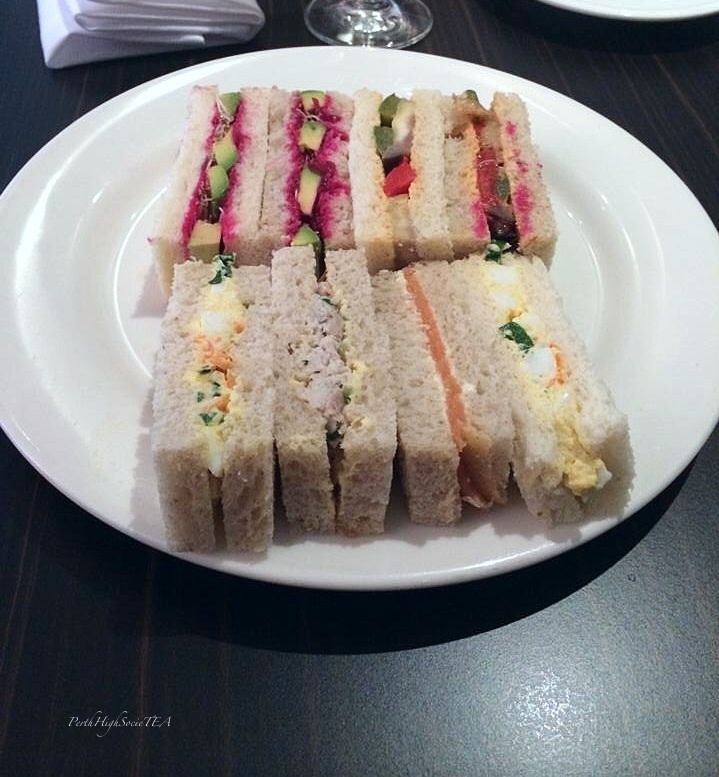 This entry was posted in Perth High Tea Reviews and tagged Afternoon Tea, Experiences, Food, Fun, High Tea, High Tea Perth, Hyatt Regency, Perth by sassysly. Bookmark the permalink. We don’t have a service charge here, like London does. So most places don’t bother putting in the extra effort.